This week’s guests are a dynamic trio of content strategists who recently concluded an extensive associations research project that resulted in their defining the 17 elements of content strategy and the three stages of content maturity. In this episode, they share ideas for identifying pain points, establishing governance policies, and getting buy-in from the top to help guide a content strategy project—tactics that can be applied to any type of organization, association or not. Hilary Marsh is president and chief strategist of Content Company, a content and digital strategy consultancy. She helps associations, nonprofit organizations, and corporations get better results from their content by improving their practices for content creation, governance, management, and promotions. Content Company’s clients include the American Bar Association, American Medical Association, Estee Lauder, Endocrine Society, Institute of Food Technologists, Intuit, and Walgreens. As managing director of REALTOR.org from 2005 to 2011, Hilary oversaw the National Association of Realtors’ website and created the association’s social media strategy. A leading content strategist since 1999, she developed and taught the first graduate-level content strategy courses for Kent State University. She is also a frequent speaker at national and international conferences. You can find her on Twitter, LinkedIn, and Slideshare. Carrie Hane is the founder and principal strategist of Tanzen, which provides content strategy consulting and training designed to change how organizations approach content. For nearly 20 years, she’s alternated between in-house web content lead and consulting, putting together cross-functional teams and creating processes that stick while untangling information to make it usable and ready for the next frontier. She is the co-author of Designing Connected Content: Plan and Model Digital Products for Today and Tomorrow (New Riders, 2018). When not taming content, Carrie tries to tame her two boys. Content is easier. 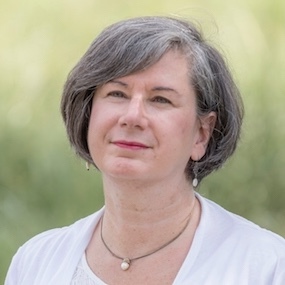 Dina Lewis, CAE, founded Distilled Logic in 2006 to help associations and nonprofits with content strategy, information architecture, and usability research. She was project manager and a member of the research team for the 2018 ASAE Foundation study, Association Content Strategies for a Changing World. The report will be published this spring. Dina earned her Certified Association Executive designation in 1996. She currently serves on the ASAE Communication Section Council and is a former chairman of its Technology Section Council. She is also a member of UXPA International, the IA Institute, and NTEN. Kristina: Hello again. Welcome to The Content Strategy Podcast. I’m your host, Kristina Halvorson. 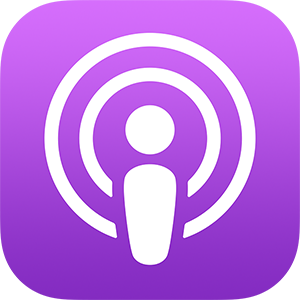 This podcast is brought to you by ContentStrategy.com, and Brain Traffic, a content strategy consultancy. Find out more about Brain Traffic at BrainTraffic.com. So, today I have not one, not two, but three amazing guests on our podcast. I’m going to introduce you to each one of them. Ms. Hilary Marsh, hello! Kristina: Hilary, you are president and chief strategist of Content Company, a content and digital strategy consultancy. Kristina: What is your response to that? No, I’m just kidding. I have Carrie Hane. 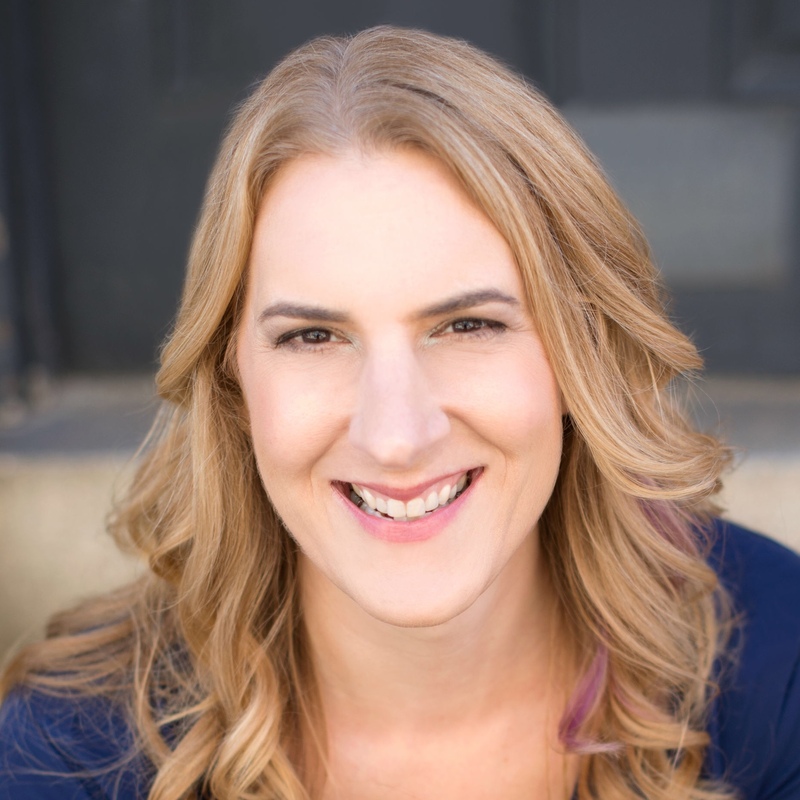 Carrie is the founder and principal strategist of Tanzen, which provides content strategy consulting and training designed to change how organizations approach content. Hi, Carrie. 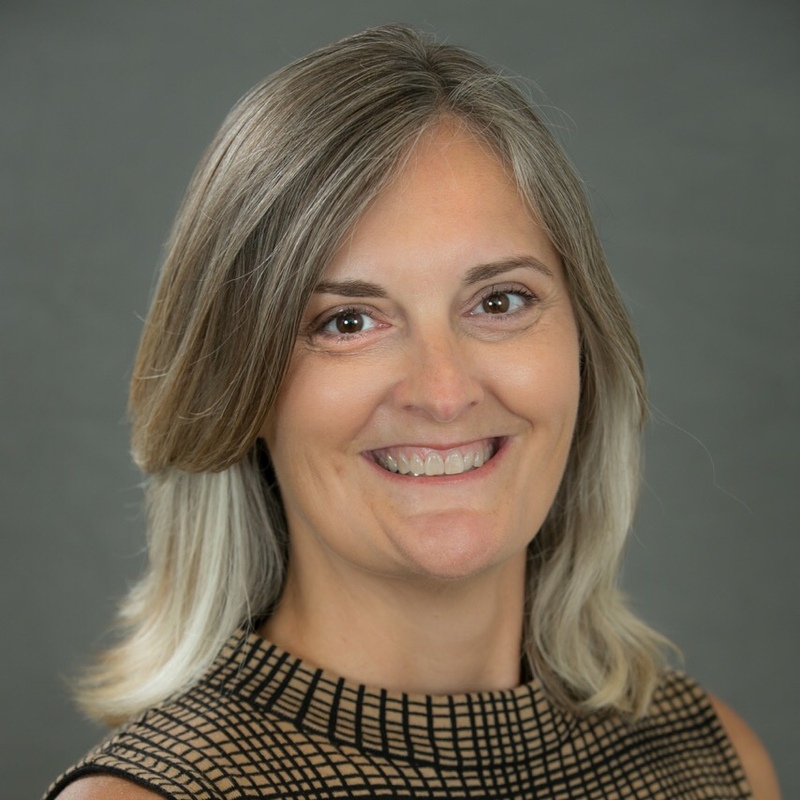 Kristina: And finally, we have Dina Lewis, CAE, who has founded Distilled Logic in 2006 to help associations and non-profits with content strategy, information architecture, and usability research. Hi Dina. Kristina: Wow, the magic of modern technology. Where are you? Where are you today? Hilary: I am in Chicago, it’s Hilary. Kristina: Hilary in Chicago. Carrie, where are you? Carrie: I am in a suburb of Washington DC. Kristina: What is that suburb called? Kristina: You know, this is the time when everybody says, “I know somebody in DC. Do you happen to know my Aunt Jodie?” Dina, where are you? Dina: I am in Washington DC. Kristina: Do you know ... I know somebody in Washington DC. Do you know Carrie Hane? Hilary: Started in fall of 2017. Kristina: Fall of 2017, okay, great. But you have been sharing the findings of that research and it’s some of the very first rigorous research that’s been done around content strategy within organizations and its effectiveness, how it has shaped organizational culture and what it can tell us about where organizations are in terms of their maturity with content strategy. I’m super excited to hear about it today. What I’d like to do is start with you, Dina. Can you talk a little bit about what the research was, why you undertook it, and who is involved. Dina: Sure, so ASAE Foundation, which is the American Society of Association Executives. Kristina: So, it’s an association for associations. Dina: DC has a lot of that. Kristina: They actually were a very valued Brain Traffic client for a long time, so I’m super excited to hear about this partnership too. Dina: Yeah, so their foundation, along with the Angerosa Research Foundation with Stratton Media Strategies who helped fund the research, decided to focus on content strategy because they know that associations are in the content business. In fact, previous research they had done, the decision to join, identified the fact that association members ranked dissemination of knowledge and content as four of the top five most important functions in associations. Dina: Yeah, exactly. So they commissioned the study primarily to answer the question how are associations managing the challenges and changes in how they create, facilitate, curate, and disseminate knowledge and learning through the content that they publish. Kristina: How often … does the foundation often commission different kinds of research within associations? That’s part of the function of ASAE, correct, is to let associations have benchmarks and understand trends? Dina: Exactly. The foundation underwrites at least four and maybe more different studies throughout the year on all different bases of association management. Kristina: Excellent. This is really … content strategy has been around for 20 years and this is really the first time that I had heard of an organization commissioning research like this around content strategy. Is that right? Hilary: Yes. I thought so too. I was worried when I opened the RFP that they sent that, oh gosh, do they really understand what content strategy is? Is this going to be a figure out what we need to do and then do it? It turned out that they worked with a member volunteer team that really got it. We were so excited to see this RFP. Kristina: There’s nothing better than walking in the room and sitting down with a bunch of like-minded people who are like, “Yes, content. Complex. Complicated. Let’s dig in.” Versus, “Content, how much do we need and where should we put it?” So that’s awesome. Great. Tell me a little bit about the methodology. How did the three of you come together? Did you join together to answer to this RFP? Dina: We did. That was the exciting point for us, because typically the foundation works with more of an academic bent toward research and we brought to the table obviously people within the practice and we felt like a team of content strategists would really bring a good perspective both with our experience, but also with our research capabilities within the field. They agreed, so we were super excited. Hilary: And particularly in the association world. Kristina: Yes, for sure. How lucky is that? Hilary: The three of us have presented together several times about content strategy for associations. We’ve often brought speaking opportunities together, workshops. So we’ve worked together, like I said, a good handful of times before we undertook this and we felt that we were the three most well-known practicing content strategists within the association field. Kristina: You guys owned the room before you even walked in. That’s great. Tell a little bit then about how the research was conducted, who you talked to and then let’s start digging into some of the high-level findings. Dina: The primary goals were to identify effective practices, provide direction to align those practices with goals, and to inspire leaders to undertake a strategic approach to their content. We wanted to do that in several ways. We did an environmental scan to see what existed out there around association content strategy. We did two surveys and we also did a number of interviews with practitioners to develop the findings from those surveys. I think Hilary can speak to the environmental scan, because that was, I think, interesting and the concept of what actually existed about content strategy in the field. Hilary: We found 68 articles, presentations, and reports about various aspects of content strategy related to associations that were published between 2010 and 2017. Just the finding of it was a research effort. Then, distilling what all the pieces said was very interesting and everybody has their own point of view. If it was a blog post from an agency, it talked about content strategy through the activities that they do. If it was a presentation from a technical vendor, it might focus on the technical aspects of content strategy. So they were different. So there’s sometimes misconceptions and confusions. Sometimes it was case studies and sometimes it was definitions. Dina: I think the other portion, particularly the initial profiles surveys, just to identify who’s doing it, was one of the most exciting pieces for us and I think for the foundation, because over the course of the work, we identified more than 460 associations that were represented as doing some aspect of content strategy. I feel like that finding and just that knowledge that so many people were doing it was really interesting, not only for us but for the foundation to actually see. Hilary: This is where we had to figure out how to make it measurable. What does it mean to say you’re doing content strategy? Again, because we knew that from the literature review from the environmental scan each entity might define it differently, we had to go as broad as we could. We put our heads together in documenting what we found as techniques and tactics and from our own work, techniques, and tactics, and came up with 17 things that content strategy is made of, basically. Kristina: Yeah, great. I’m now worried about cutting you guys off, so I’m giving anybody else a chance to jump in. Can you read those 17 things to me? I’m dying to know what they are. Hilary: Sure. None of them are going to be a surprise to you or probably anybody listening to the podcast. Kristina: No, but it’s amazing to just know that you’ve collected and disseminated and analyzed this information and we were able to boil it down to 17 concrete things, so bring it. Hilary: There’s two that fall into the bucket of let’s call it understanding the organization, which are the development of a content strategy statement, and these are of course not in order of which they happen, but how they group together. So, content strategy statement and stakeholder interviews. Another bucket is, and you can slice and dice these differently as well, making content more effective. For those, it might be a content audit, inventory and analysis, and an editorial style guide. Then there’s another bucket of tactics that really fall into helping content creators improve and helping content improve, which is content governance, digital content training, and content job descriptions, ensuring that the responsibilities for creating and managing content are included in the job descriptions for people who do it. There are some that are about understanding the audience. Those personas, customer journey maps, they’re content analytics, usability testing. There’s marketing promotion planning buckets, which is central content planning calendar and search engine optimization. Then there’s the backend piece, which are taxonomy, meta-data, and controlled vocabulary, as well as content models and structured content. Kristina: Okay, so you’ve identified these 17 pieces of content strategy that are appearing within the activities and outputs of these 400 plus associations. Talk to me a little bit now about what some of your high-level findings were from this research. Dina: In those three areas of findings, I would say one was that content strategy definitely scales. In the interviews that we did and in evaluating the survey results, we saw small associations with as few as three staff members successfully meeting member needs with the content they produced. Then we heard from organizations with hundreds of people on staff, with a variety of departments producing all kinds of different kinds of content successfully meeting member needs too. It didn’t really matter if it was a small or large or a high budget or a low budget organization, there was definitely representation of content strategy practice across the board. That was one. The second one was the value of content strategy tactics based on what type of culture you were in. We all knew, Hilary, Carrie and I and you know, Kristina, that culture makes such a huge difference about content strategy. That was something that we thought going in, but it was definitely validated by the research that we did. People were looking for content strategy to break down those typical silos that exist, particularly in associations. Kristina: So you think that culturally then, that content strategy really can find a footing when there are really ... now I’m going to put words in your mouth, so let me say it like this instead, what I have found is exactly that, that within organizations where those silos exist, often times there are one or two people, or even three, who work within different silos, who come together and say we’ve got to start creating some processes that begin to provide visibility and integrate efforts across these silos and our tool is content strategy. Is that what you’re seeing? Kristina: Isn’t that funny how spirit can just pop up across every industry. Dina: Absolutely, and one of the things that we saw and Carrie, you might want to say more about this, is that sometimes a department lead took content strategy forward, so it might have been the marketing department and that might have looked like something. It might have been the events department or the conference department and that looked a little bit different. Kristina: Okay, so those are your first two findings. What’s a third finding that you talked about? Dina: The third one was the fact that an actual maturity model around the set of practices that make up a content strategy actually emerged and we defined those in the categories of a beginning organization, an intermediate organization, and an advanced organization that was practicing content strategy. Kristina: That I’m really excited to talk about a little bit more. 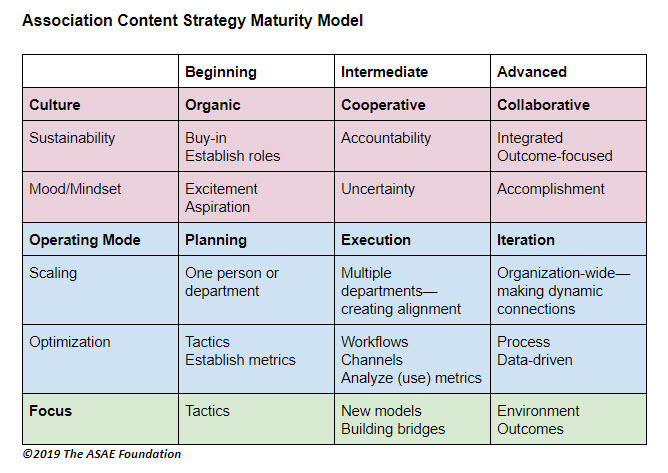 Rahel Bailie developed a content maturity model in 2009 and we still use that in presentations to new clients. She had five stages and it went from very tactical to maturing strategic and we often would say, okay, early diagnosis client, you are on this second step and we know that in the course of this project, you want us to take you to the fifth step and that’s not going to happen. You have to go to the third step. Are you finding that organizations are trying to leapfrog and do these huge projects that will get them there? Or did you hear that people are being realistic and they were self-aware of, yeah, we know, we have a ways to go and we’ve created a strategy that will be a stepping stone to get there? What generally did you see? Carrie: We found that people can’t skip anything. That even the few that are in the advanced stage started at the beginning. That was something that we went back and looked at as we were writing up the report and said, yeah, nobody can skip this. You have to start at the beginning and start somewhere and go through the path. Each path looks different depending on the people in the organization structure, but there’s no skipping anything. You can move faster or slower. We found some organizations that maybe took a year to get from beginning to advanced or nearly advanced. Other organizations have been hanging out in the middle for several years, but that was something that we saw just like we said, you can’t go from one to five in one project or really even in one year, because what we found is one of the hallmarks of the different stages is what your culture is like and you can’t change a culture that fast. Kristina: Okay, now let’s talk about each of those stages. Dig in for me a little bit with that, you called it beginning. What are some of the foundational pieces that need to fall into place before you’re ready to evolve into the intermediate. Carrie: What we found is, we identified beginning as doing at least one of those tactics with at least one person doing it within their organization. Just like you said, there’s often a champion or department and they’ll get a few allies on board and they’ll do some of these tactics depending on what works for them. They’re really excited and as they start to share their success, is when they move into the intermediate stage. They go from being fairly organic to being more cooperative and getting more people to buy in and creating some alignment, but not organizationally-wide necessarily. They have something to optimize when they get to the intermediate level. They’ve been doing for a little while or a long while depending on what’s happening and they can start using their analytics, not just setting them up, setting up some workflows, working across departments. One of the hallmarks for the intermediate was having working groups that were cross-disciplinary. Those often happened very organically as well, not by someone above saying, “You must all meet together and work.” It was more organic than that. Then to move into the advanced, which very few organizations have moved there, is you’ve completely integrated content strategy into your organization and you’re focused more on the outcomes. You’re measuring not pageviews or Twitter likes or Facebook engagement, but are you getting more people to your conferences? What’s your membership retention and recruitment look like? What are your non-dues revenue look like? So it’s more business-oriented through content, not the content itself as the outcome. Kristina: Let’s pause there for just a second, because I think that one of the big things that I see over and over is people who are ready to invest in content strategy saying, “How am I going to measure outcomes? How am I going to know that this was a success?” When we’re able to say, well let’s identify business objectives, try to get to some hard metrics that can be measured, one of the challenges that we see is that unless you are looking at a direct, for example, marketing and sales and retention model or customer service, being able to identify we fixed this help center and it cut down on our costs, on our customer service call center costs. Talk to me about how you were able to create through lines for these associations to say you started at the beginning with these content strategy tactics, you moved through into the advanced stage, and here’s how we’re now measuring the outcomes of content strategy? Hilary: I’d like to just take a step back here for a second and talk a little about the role that content plays in an association, because I think that that’s where associations are in a better and worse position than other kinds of organizations in terms of thinking about their content. For the most part, content in an association is the work that they do. It’s the programs they offer and the things they produce. There’s very little content that the organization produces just because. Sometimes they do from a marketing perspective, but for the most part content is a much deeper function in an association, which makes it possible to tie content about a program to the program’s outcome. Kristina: This is an instance in which an association is a kind of organization where content is one of their primary products? Hilary: It is. And the way they show value. The first challenge in working with associations is in helping everyone who is a subject matter expert creating content understand that that’s what they’re doing. They’re a meeting planner, they’re a government lobbyist, or they are a magazine editor, or any of those other functions, or course developer, but what they’re actually doing as far as we’re concerned, is creating content. So the output of their class is content. The information about the class is content. Therefore, the raw material is there to look at and dive in more deeply, but yes, content is at the end of the day what they do. Kristina: Isn’t that funny? Because do you remember 20 years ago when the web was really in the hands of graphic designers and computer programmers, we were all shouting, “How do you put words or images or video on the web? You’re a publisher.” And companies were like, “Lalalala.” That is still a conversation and a mind shift that associations are needing to make. Well, not just associations. Hilary: The particular challenge that associations have that other kinds of organizations don’t is that extra layer of the committee member volunteers. That’s where a lot of the times the silos come in, because staff departments are often accountable to these member volunteers. The members work in the profession. In my case, I used to work for the National Association of REALTORS. It might be doctors or lawyers or any number of professions and the people in the profession have decided to volunteer and give back to the profession by serving on a committee of some kind or the association. They’re doing it out of the goodness of their own hearts, but they’re not professional meeting planners. They’re in whatever profession they are in. The departments tend to have this view out into that inner ring of member volunteers they work with. So one, they think that the member volunteers equal the membership at large, which they don’t. They also stop going horizontally to their peers in other departments because they’re so focused on working on behalf and hand in glove in partnership with these member volunteers. Kristina: This then becomes an opportunity for content strategy principles and tactics to begin to widen their perspective and as you said, begin to connect horizontally with their peers across the organization. Hilary: Exactly. I interjected then, because that served as underlying knowledge helping us understand the challenges that association staff people go through in trying to implement content strategy and the opportunities and challenges for doing so. Kristina: That’s really helpful, thanks. Carrie, do you want to keep talking about the maturity model. Carrie: One thing I think is interesting is how the respondents to our surveys broke down between the different levels. We had 28 percent of associations who said they were doing content strategy, so that’s at least one tactic. Little over a quarter of associations out there were doing that. 62 percent are at the intermediate level, so over half of the people doing it have made it as far as beyond one person doing a few things to be more strategic, but only 11 percent have made it to the advanced level and that I think goes back to speaking to culture and making it an organization-wide way to think about your business and content supporting and being related to the business goals, rather than being something else. Rather than just being a thing that people output, because that’s part of their job. Kristina: Were you able to identify some common threads between the associations who made up that 11 percent? We’ve talked about how these associations have recognized that content is their primary product and they need to be treating it strategically. What are some other points you were able to identify, characteristics of these associations that made them able to be able to function at that advanced level with content strategy? Carrie: It’s a lot of the people. Content strategy is people. Having an operating mode of continual iteration and really just being able to sustain the vision beyond a certain person and incorporating that into the mission. Part of one of the quotes we had from someone is they say, “We start with the board’s priorities. Then, as an organization, we come up with a plan of work for what we want to accomplish and tie our content goals to that plan of work.” I think that is so rare, especially in boards. To Hilary’s point about the member involvement at the volunteer level, that includes the board. Boards are often telling staff what they want them to do and the staff just says yes, I’ll go and do that, rather than working cohesively with, okay, you board, you tell me what you want us to accomplish. We, the staff, will figure that out. So having that kind of relationship with a board changes a lot of things. Again, that doesn’t happen overnight, but as they’ve shifted, I’m assuming that this organization, the people who are in charge of content strategy had a good communication with their executives and their board to get them to that place. Dina: I agree with that, Carrie, and I think that leadership piece, even though they may have endorsed the idea of implementing content strategy in the organization, the exec and the leadership team needs to see some payoff at some point. I think the other aspect of both the intermediate and advanced organizations was that they really dug in to the analytics piece and used data to quantify the work that the content was doing for the organization. They were able to tie those business goals back to increase conference attendance or increase product sales or more member engagement and prove to the C-Suite folks that content strategy was really delivering on the promise. Kristina: This is all such rich information and I think there is so many lessons to be taken away, whether or not you’re an operating association. I’m hearing so many parallels within any organization who’s producing content that an audience wants to use or consume or watch or attend or whatever. Let’s say though now that I am at an association, let’s say we have 30 people and all 30 of us are completely overtaxed already, but we realize a change needs to be made or we’re going to just keep on cranking out content without knowing if it’s effective or valuable for anyone. How do I get started? Carrie: You start with your pain points. That’s what we saw. Different organizations had different paint points, so they started in different places. I think we can all three of us talk about different things that we saw with people we’ve talked to, the people we’ve worked with at associations we’ve worked for, but starting with where it’s going to make the biggest bang for your buck. Maybe your lack of ability to prioritize content is your biggest pain point or something that you have control over. S maybe you start with surveying your members or doing personas or even stakeholder interviews to just get that bigger picture and then share that back with people. That’s one way. Hilary: Another common pain point we saw was that there’s not often connections between departments, so getting back to why do departments work independently in associations. For those, and including the content responsibilities, it might be bringing people together to create the personas or create the content strategy statement or it might be creating a singular content model so that everybody’s content uses a same common structure or it might be starting an organization-wide content calendar so people are planning their content and seeing what else is going to be created for the same people on the same topic in the same timeframe. Dina: Another way would be, picking up on that point I was making earlier, if you have goals in place, collecting the right data to see the results and make decisions about how to change your content creation or publishing practices. Do you have the right digital analytics tools in place and hey, not only have them, but actually use the metrics in a meaningful way to support decisions about future content that might be needed to fill gaps that your members have. Then, overall, establishing those governance policies so everyone understands their role and responsibility within their job description and how to make the decisions to keep creating the content and publishing the content to move forward. Carrie: I think the governance is the key, and that’s a really big key to keep moving through this maturity model, is without that governance, you’re just going to do whatever people feel like doing, so you have to have the governance and the enforcement of the guidelines you create, as well as training of people so that the whole organization understands and is working from the same playbook, if you will. Hilary: But the governance is only possible when you have the buy-in at the top. To go from a culture that’s competitive to one that is collaborative and works in partnership with each other and sees that their content is related, especially as far as the member is concerned, the audience is concerned, you can’t put governance in place if you don’t have that buy-in. Kristina: What advice do you have for folks who are looking for that buy-in. You already touched on a lot. If you each had to distill your advice down for me and an association who’s trying to convince leadership to start thinking about content from a strategic, what are your few words of advice for me? Carrie: Start where you can. Just do something. This is my standard content strategy—just do it. Because everybody has something within their purview. You don’t have to get permission. It’s rare that someone’s going to ask you to do content strategy. If you know that this is important, figure out one part of your job that you can look at content more strategically and then when you have good results, share them with whoever will listen to you. Hilary: I concur. I would say start with a pilot project. First develop a vision about, so here’s, we know what our pain points are. Everybody does. We know we don’t talk to each other. We know we don’t understand what’s working and what isn’t or whatever it might be. Create a vision of what it would get the association if that pain point were fixed and find some way to try to fix it. Do a little pilot project under the radar so that you have stories to tell. Dina: For me, I’m going to rely on one of the quotes that came out of one of our interviews: “Always put your member first. The board isn’t first. The staff isn’t first. The member needs are first.” If you can carry that forward to your boss or to the C-suite, or to your exec, that creating and producing content with the member-first vision in mind is going to work, that’ll get you started. Kristina: That is all super smart and super inspiring and I’m so impressed by the work that the three of you have done. You’ve just created this pure content strategy gold for associations everywhere. Thank you so much for your hard work and good job ASAE Foundation for commissioning this in the first place. If you are listening and you are interested in content strategy research, just do it. There. Good. We are going to post a bunch of the resources that we’ve talked about today in our show notes at ContentStrategy.com. Is there a link though that you would like to share where people can find the research? Dina: Yes, they can go to asaecenter.org/associationcontentstrategies. Kristina: That is the most sense-making URL I’ve ever heard in my life. Thank you so much Carrie and Hilary and Dina. This has been outstanding and best of luck with your continued work. You are all doing such fantastic writing and speaking around the topic of content strategy and helping to evolve the discipline. So thanks on behalf of the listeners and on behalf of me. Hilary: Thank you so much for having us.